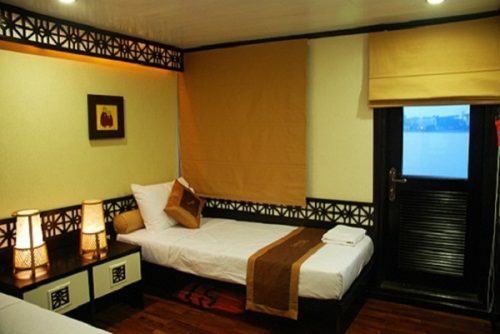 If you are on small budget and need to save cost, getting on a bus from Hanoi to Halong can be a good idea. On Nguyen Thai Hoc Street, at Kim Ma bus station you can get on the Hoang Long express running every 15 minutes every day from the station. 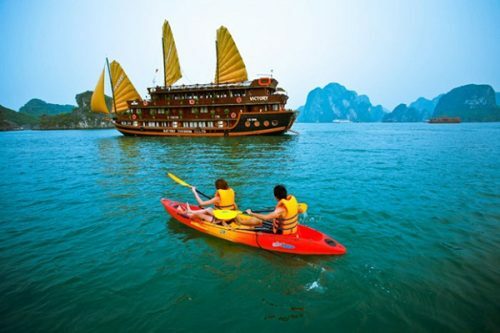 Consuming about 60 000 VND, you will waste about 3-4 hours to reach the pier. 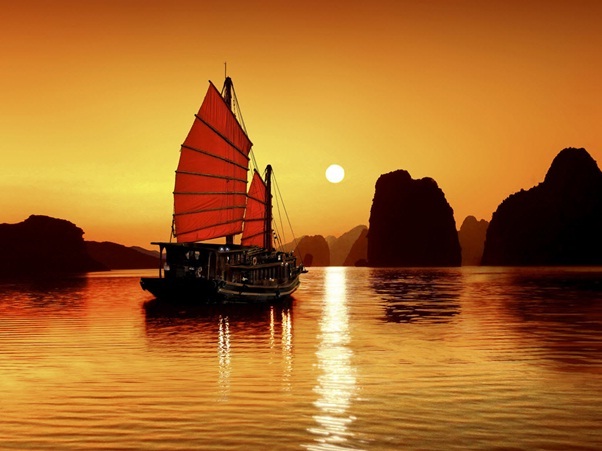 After that, a large number of cruise operators are offered for you to travel with. 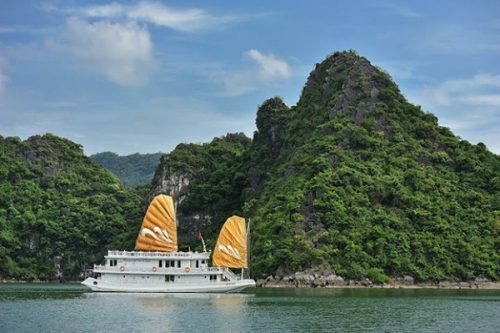 Traveling onboard of these vessels is absolutely exciting because you will have a great opportunity to be part of the daily community of the locals coming and going to Hanoi. Moreover, if you have no fix schedule, taking the bus is very highly recommended. 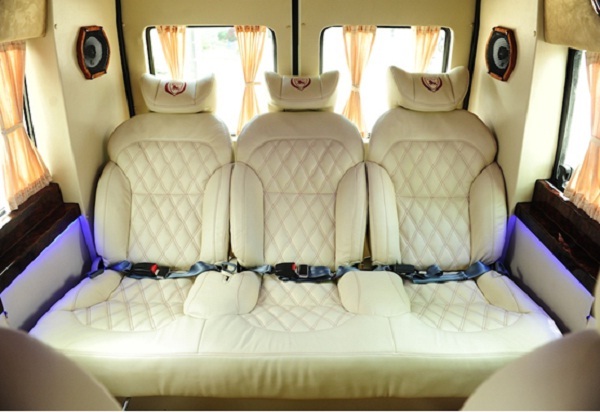 In spite of that fact, bus is more suitable for those who are getting used to Vietnam transportation conditions or has adventurous spirit. If you come to Vietnam for the very first time, bus is not recommended. Once traveling to Vietnam, you can definitely easily reach any destinations by motor cycle, even at the most isolated places. 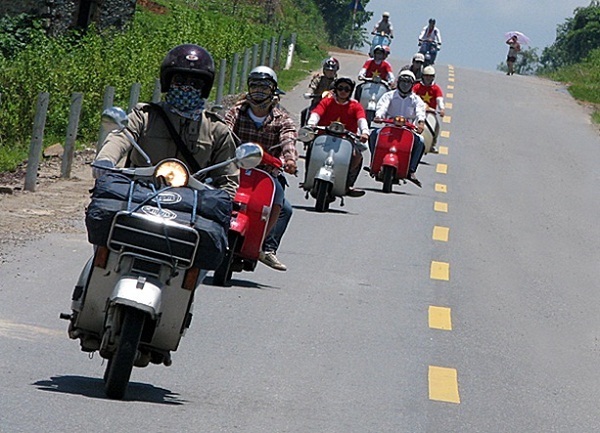 Just 170 km drive away from Hanoi with the road is rather straight forward, you can rent a good bike from the Old quarter at a small fee, a good riding skill to make the trip unforgettable, traveling by motor cycle is the utmost adventurous and thrilling of all. Traveling by motor cycle with a small group of friends to support each other on the way, especially in case you get into trouble is highly advisable.